Bollywood offers unprecedented support to troubled actor #SalmanKhan during his trying times. The actor is sentenced to five years in prison in #BlackbuckPoaching case, currently the bail hearing in under way. Saqib Saleem also shared a picture with Salman Khan and wrote, “Bhai ❤❤”. T-series producer Priya Gupta also supported the actor. She wrote, “The only TRUE fact in the #BlackbuckCase is that @BeingSalmanKhan did not kill the BlackBuck. He’s emotional and a protective friend. Have huge respect for what he’s doing. 20 years of media badgering will obviously make us believe in their theory but he is NOT GUILTY”. Actress Elli Avram also supported the actor on social media. She wrote, “What doesn’t break you will only make you stronger. 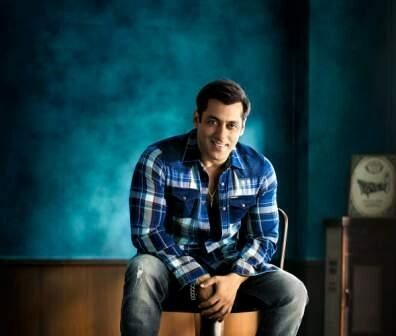 I haven’t seen a more stronger and so humble person than @BeingSalmanKhan”. Sajid Nadiadwala’s wife Warda Nadiadwala also supported Salman Khan on social media. She wrote, “We love u Chachu @BeingSalmanKhan”. Actor Rahul Dev also supported the actor, he wrote, “I respect the law but must confess the verdict saddens me. My heart goes out to @BeingSalmanKhan & his family members. 5 yrs is too harsh! I hope they review the decision, in lieu of his great humanitarian work & grant him bail tom #WeSupportSalmanKhan #BlackbuckPoachingCase”.